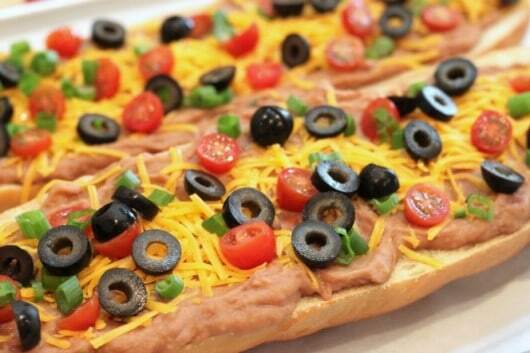 French Bread Pizza gets an updated twist. 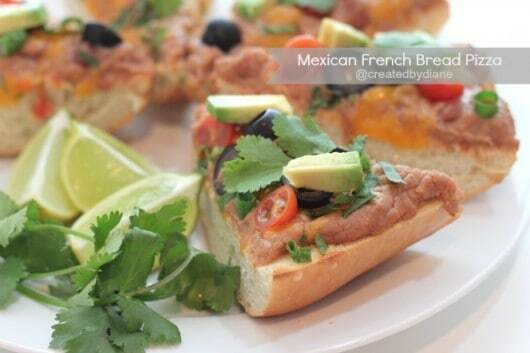 Crusty French Bread gets slathered with refried beans and topped with some taco favorites. 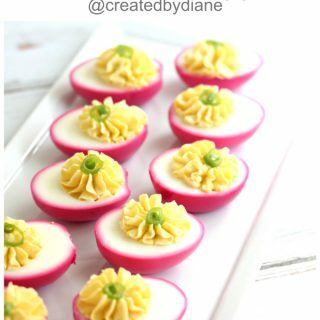 A great appetizer, snack or main dish everyone will be asking you to make more of these. 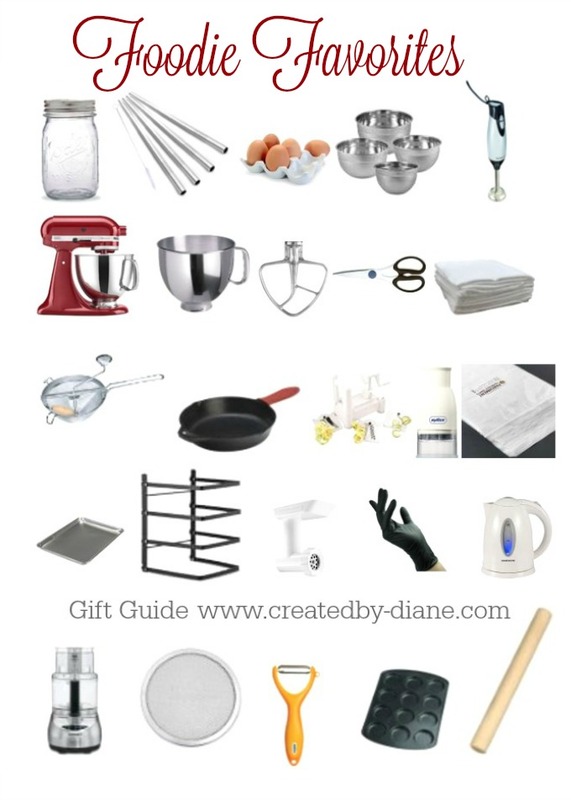 Perfect for parties and get togethers. 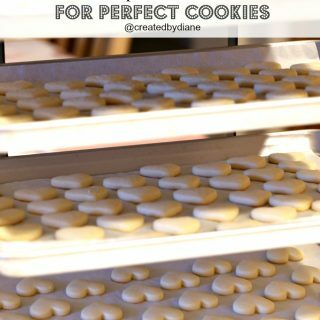 They can be assembled ahead of time and only take minutes to bake. It’s very common for me to have the items needed to make this in the fridge. I buy plenty of cilantro, scallions, tomatoes and avocados each week so usually I just need to grab some French Bread. I also seem to always have a stock pile of black olives in the pantry, tell me I’m not the only one who loves olives! I often feel like I’m whipping up last minute snacks for impromptu company and this is a winner. 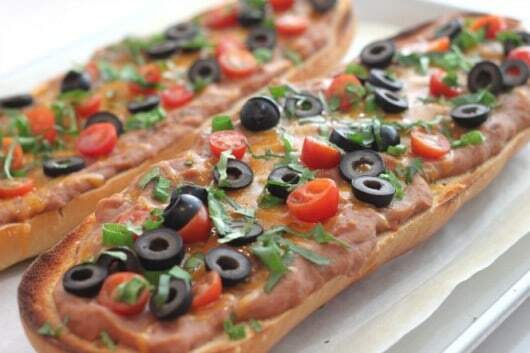 Split french bread in half and spread refried beans on each half. place grated cheese, scallions, tomatoes, olives on top and place them under the broiler for a few minutes. It’s faster then ordering take out! 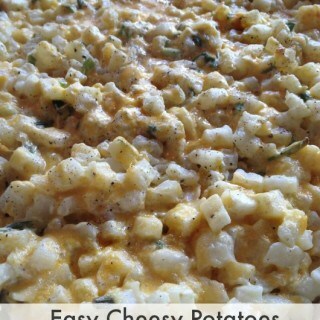 I just love this hearty snack, and everyone else seems to also and they are devoured quickly! Place bread under broiler on high for 2 minutes so the top layer of bread is crisp, but not browned. 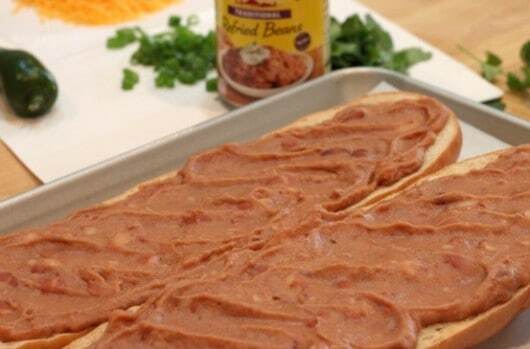 Spread refried beans onto each half of the bread. Add cheese, tomatoes, olives and cilantro. Place under high broiler for 3 more minutes. Remove from oven and add avocado, slice and serve. Add your favorite hot sauce or salsa on top for an added kick. Top with avocado and cilantro. I’ve tried growing my own cilantro, but haven’t had the best luck, and I go through it so fast I think I’d need half my back yard planted with it to sustain us. I’m a cilantro-holic…in a good way of course. 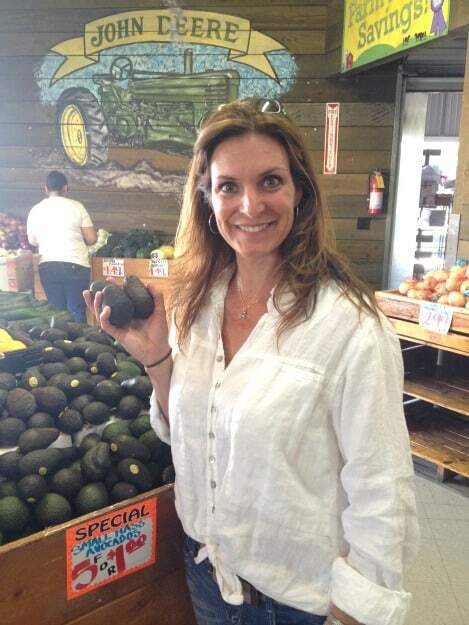 I’m glad there is a farmer’s market stand in my town, it’s open everyday and well since I’m always mixing up something in the kitchen, it ‘s a great place to get all the produce I need with their great prices and selection. I love when avocados are a good deal. As soon as they are ripe I put them in the fridge to keep them at that ripeness for at least a week. I used to let them get too ripe on the counter, resulting in brown spots and a lot of waste. I’ve since learned to pay close attention to my avocados and it’s great now having avocados when ever I need them in the fridge. *I was compensated for this post, however all opinions are my own. So jealous of your local farm stand! We definitely don’t live in the right area because we don’t have anything like that. 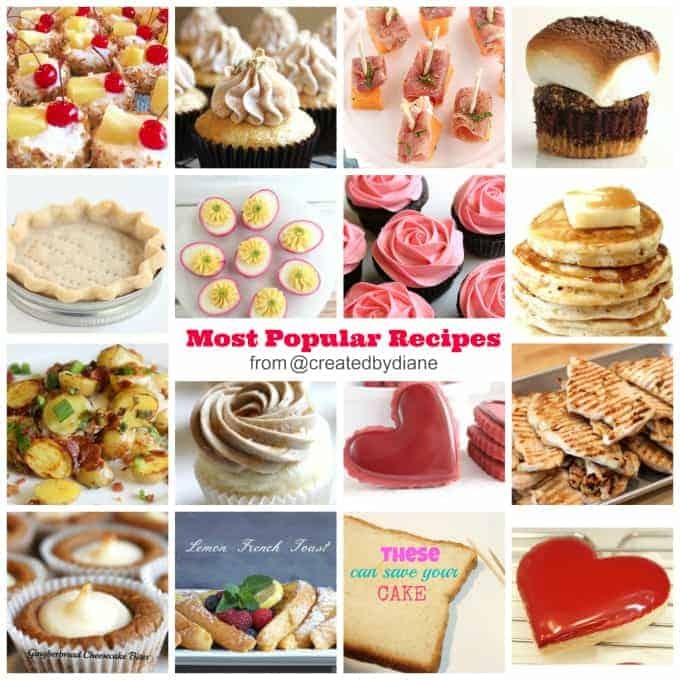 What a great quick recipe! We have lots of farmers markets and farm gate stalls close by and I love it. I’ll give this pizza a try. Thanks, kinda wishing I had a piece right now! 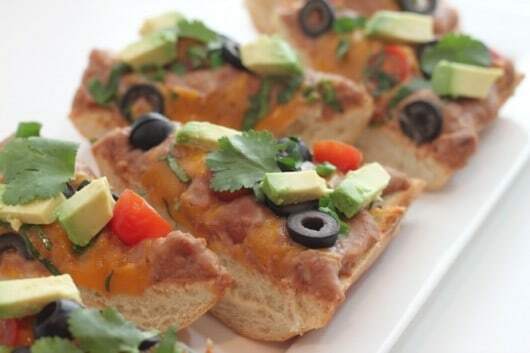 Sound Of Pizzas I always stop and want to Read your Article really i enjoyed my Wife will be follow this Article to cooking as well this Pizza Mexican for me 😀 thank you so much for delicious Recipes and Always visit…. 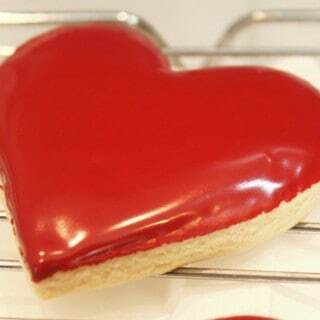 This looks so yummy, I’m sure my family will LOVE it!